Government is taking steps to end photo radar being used as a revenue-generating tool. Minister Mason announces changes to photo radar. An independent third-party review of photo radar operations in Alberta shows that it has a marginal contribution to traffic safety across the province. Changes to the provincial guidelines governing the use of the devices will enhance transparency, increase oversight and enshrine the principle that photo radar can be used only to improve road safety. Improve accountability by clarifying roles and responsibilities for photo radar programs. Require municipal Traffic Safety Plans to use collision data to ensure photo radar programs are directly tied to safety. The plans will be audited by the provincial government to ensure compliance. Require police services and/or municipalities to post and update photo radar locations and their rationale on municipal/police websites every month (links will be provided on Alberta.ca/photoradar). Prohibit the use of photo radar in transition zones (i.e. adjacent to speed limit signs where speed limits change). Prohibit the use of photo radar on high-speed multi-lane roadways, unless there is a documented traffic safety issue. Require annual reporting and evaluation of how photo radar programs are achieving traffic safety outcomes. Conventional traffic enforcement, such as police patrolling or scanning traffic with radar, is still allowed in locations where automated enforcement is prohibited. Radar is also still allowed in school zones, playground zones and construction zones. Over the next year, government will work with municipalities to implement guideline changes, allowing enough time for municipalities to adapt. 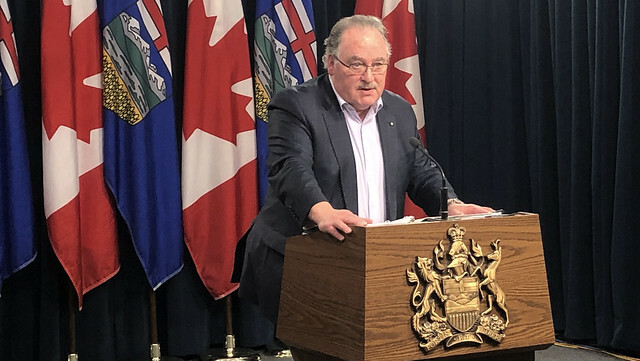 Government will work with municipalities to refine the guidelines for photo radar site selection, operational restrictions and data collection that will allow for improved and ongoing program evaluation. Automated Traffic Enforcement (ATE), commonly referred to as photo radar, is prohibited on provincial highways. It can be used only on sections of highway that pass through municipal boundaries. Currently, 27 municipalities in Alberta are using photo radar programs within their jurisdictions. The existing photo radar guidelines have been in effect since 2014. More and better data is required from municipalities to justify the use of photo radar and to demonstrate how photo radar contributes to traffic safety.